I have only eaten rabbit once and I didn’t love how it was cooked. I’ve been wanting to try it again and this looks like a pretty good recipe. However, if you have a great rabbit recipe, I would love to hear about it and would also be happy to post it on my blog if you’d like! Spread the flour in a shallow dish. Season the rabbit with salt and pepper, and dredge it in the flour. Shake off the excess flour. In a large skillet or Dutch oven, heat the oil over high heat. Add the rabbit, and cook it for 5 to 6 minutes, turning until it is lightly browned. Lift the meat from the pan, and set it aside. Add the carrots, onions, and garlic and thyme then cook over medium heat for about 5 minutes until the onions are lightly browned. Reduce the heat, and cook the vegetables over low heat for about 10 minutes, stirring occasionally. Add the rabbit, wine and water and cover the pan. Cook over low heat for about 35 minutes until the rabbit is cooked through. Using a slotted spoon or spatula, remove the cooked rabbit from the pan and set it aside. Purée the pan’s contents with an emulsifier, food mill, food processor or blender. Return the rabbit with sauce to pan, add the rabbit, and bring back to a simmer. Serve the rabbit and sauce over rice or noodles and garnish with parsley. For more wonderful small game recipes, visit the Ohio Dept of Natural Resources website. Grind the meat. Mix all other ingredients and then stir them into the ground venison. Using a jerky shooter, form strips of meat on the shelves of a food dehydrator. (Dehydrating time depends on type and size of dehydrator, see instructions that came with your model). Store dried jerky in freezer until ready to consume. Check out the Ohio Dept of Natural Resources for more wild game recipes. In a large bowl, combine the first seven ingredients. Crumble venison over mixture and mix well. Pat into an ungreased 9-in. x 5-in. loaf pan. Bake, uncovered, at 350° for 60-70 minutes or until no pink remains and a thermometer reads 160°. Yield: 8 servings. 1 slice equals 239 calories, 4 g fat (1 g saturated fat), 123 mg cholesterol, 367 mg sodium, 21 g carbohydrate, 2 g fiber, 29 g protein. 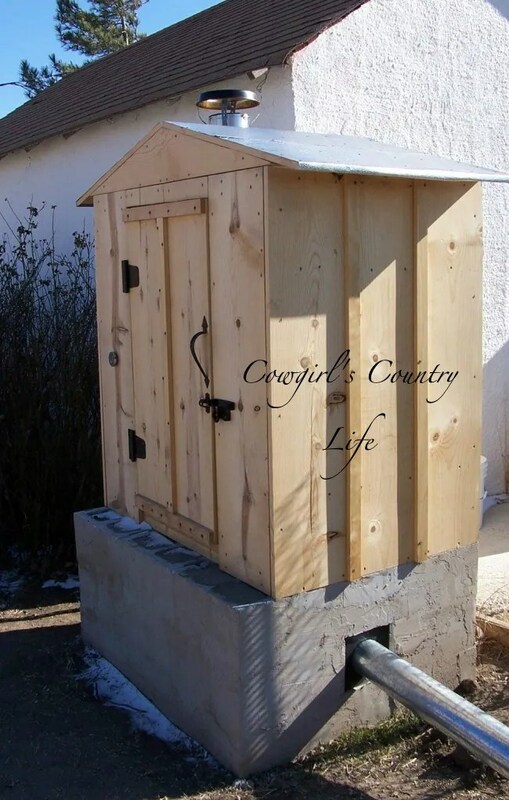 I’ve been looking into building a small smokehouse for some time now. There are certainly lots of plans out there using anything from terracotta pots and garbage cans to actually building a full smokehouse. I like the idea of doing things for less money. But I also like doing things right. Here is a great little smokehouse I came across the other day. It looks good but not too complicated. I don’t know if I’ll get around to building it any time soon, but I’m definitely printing this out and putting it on the to-do list. Go to Cowgirl’s Country Life website to see the full plans. This is a riff off my mother’s lasagna, and of course, everyone’s mother makes the best lasagna, right? This one is supremely meaty, supremely cheesy. There’s something like 3 pounds of meat and 2 pounds of cheese in this bad boy. But it makes 8-10 servings, so don’t worry about it. 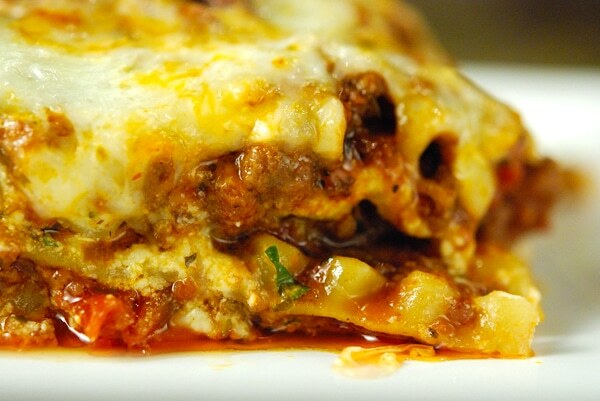 This lasagna, like most, reheats well, too. And of course you can use regular ground beef and pork for this if you don’t have access to venison or wild boar. It’ll be just as good. For the rest of this amazing recipe by Hank Shaw, visit his website. Prepare leftover meat from any big-game roast as a tasty hash. For the rest of this recipe, please visit Big Spur Lodge’s Big Game Recipe page. Thanks!